✅ 2 Large bill compartments, 1 Zipper compartment inside, 1 passport protector holder; a classic trifold wallet is also Passport holder and credit card wallet. ✅ Bifold trifold wallet with Snap Button Closure is made of Genuine Cowhide Leather and Lining is Polyester. It can be used in both business and casual occasion. ✅ Size: 4.1"x 5.5"x 0.8" inches. 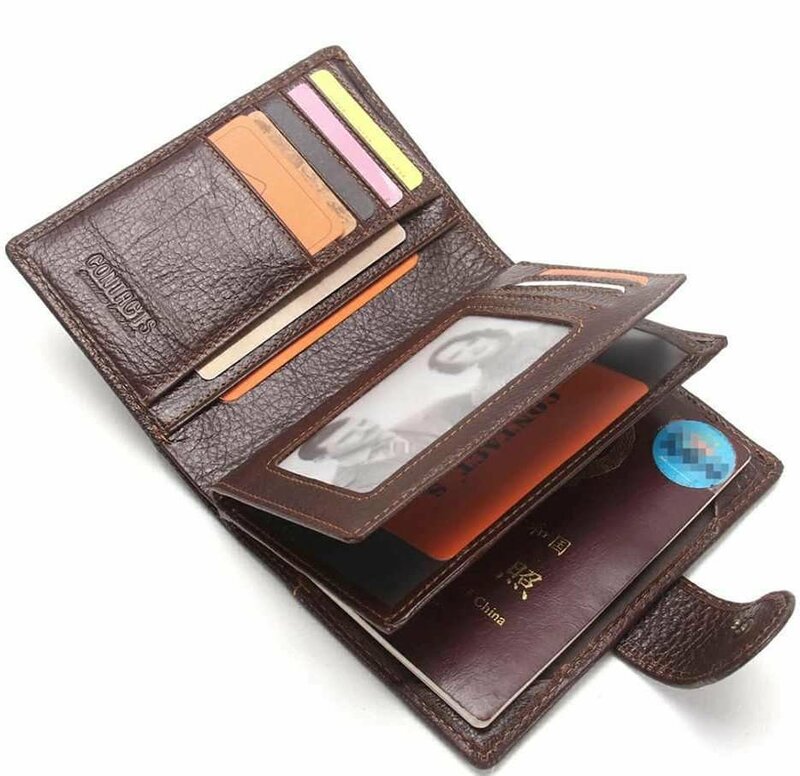 Passport wallet can hold passport, a couple of credit card, and a few bills and Fit nicely in a jacket pocket, purse, briefcase, or carry on. 🎁 It`s a great gift for gifts to family, friend, relatives, clients, colleagues!